The Coresight Research was in Las Vegas attending and participating in the Shoptalk 2019 conference, March 3-6. 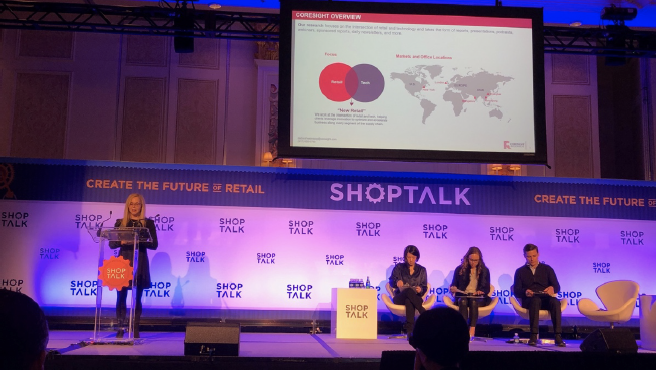 To kick off this year’s conference, Coresight Research Founder and CEO Deborah Weinswig emceed Shoptalk’s Startup Pitch competition. 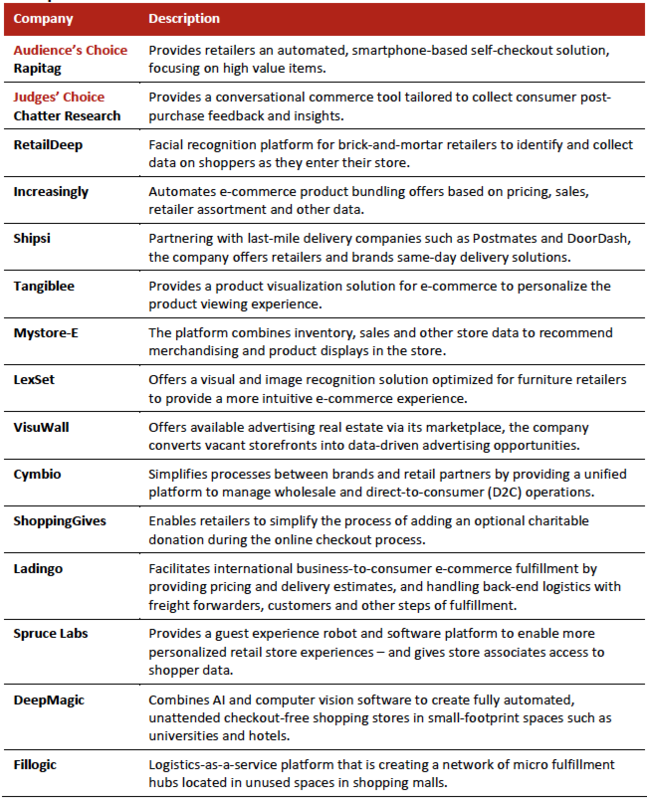 The competition featured 15 early-stage technology companies, which we classified into four categories: merchandising and marketing solutions; physical retail solutions; fulfillment and post-purchase operations; and, retail e-commerce experiences. There were two winners, one chosen by a panel of judges and the other through audience voting. The judges picked Chatter Research, a company that makes a conversational commerce tool tailored to collect consumer post-purchase feedback. 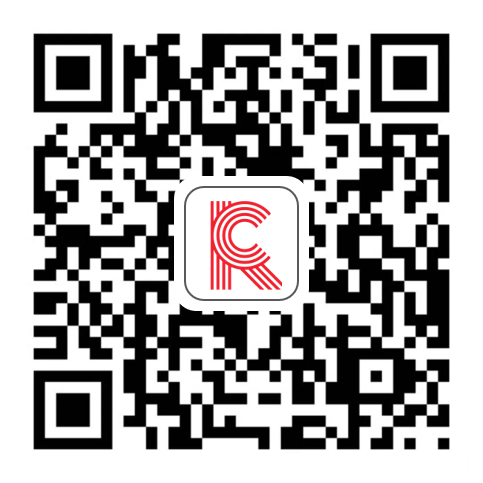 The audience chose smartphone-based self-checkout solution Rapitag. The Coresight Research team attended and participated in Shoptalk 2019 in Las Vegas in early March. Shoptalk is one of the world’s largest conferences devoted to retail and e-commerce innovation. The conference brings attendees from across retail to discuss the rapid evolution of how consumers discover, shop and buy — from new technologies and business models to the latest trends in consumer behaviors, preferences and expectations. 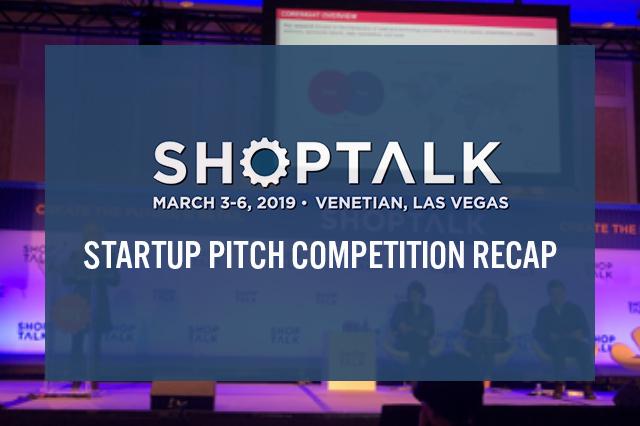 Coresight Research partnered with Shoptalk to host the conference’s annual startup pitch competition for the fourth consecutive year. The event saw 15 innovative retail-technology companies vying for two cash prizes of $25,000 each. Below, we summarize our insights from the event. Cheryl Cheng, general partner at BlueRun Ventures, a Menlo Park-based early stage venture capital firm focused on seed and series A opportunities. Julian Counihan, a partner at Schematic Ventures, an early-stage venture capital fund focused on technology companies in supply chain, manufacturing, transportation and digital industrial sectors. Annie Kadavy, a partner at Redpoint Ventures, a venture capital firm that invests in startups from seed, early and growth phases and has backed over 500 companies. Countries of origin: The 15 startups represented the US, Canada, Germany, Israel and the UK. B2B focus: The pitch competition focused on startups creating business-to-business (B2B) solutions. Area of disruption: The startups all focus on one of four areas of retail disruption: merchandising and marketing solutions; physical retail solutions; fulfillment and post-purchase operations; and, retail e-commerce experiences. Funding: Of the 15 competing startups, the majority (11) have raised seed funding, two are in the post-seed/series A funding stage and two chose not to disclose their level of funding. Each startup focuses on one of the four areas of retail disruption, as depicted below. What Problem Does Rapitag Solve? Brick-and-mortar shoppers often point to checkout lines as the number one frustration of an offline shopping experience. Retailers are using self-checkout and checkoutless shopping to overcome this pain point, but some retailers – such as consumer electronics or fashion – don’t use self-checkout due the high risk of theft and fraud. Rapitag says its solution offers security at a level that allows electronics and fashion companies to use self-checkout. Alexander Schneider, Founder & CEO. Sebastian Mueller, Founder & CTO. Technology was successfully tested in a pilot with MediaMarktSaturn (one of the largest European consumer electronics retailers) in Germany in 2018. Next, the company will pilot it with shops in grocery and fashion. 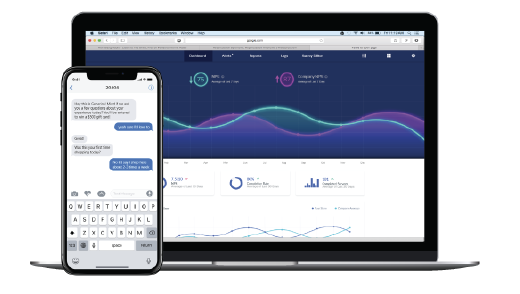 Chatter Research built a post-purchase tool to engage shoppers after retail purchases through AI-powered surveys sent by text message. According to Chatter, the interface generates a response rate up to eight time higher than conventional feedback-gathering tools and has a 94% completion rate. Its text-based invitation can be sent immediately after a shopper leaves the store. The company is working with brands such as Fanatics, J.P. Morgan Chase and LUSH. What Problem Does Chatter Solve? Many retailers don’t have insight into customers’ in-store experiences. The most common solution that asks a customer to log on to a web-based survey tied to a customer receipt often fails to capture how customers feel the minute they leave the retail store. Simon Foster, CEO & Founder. Chatter Research is currently working with Fortune 500 customers in over 3,000 retail locations. DeepMagic provides automated, unattended checkout-free shopping experiences. This “mini store” can be placed in stand-alone locations such as hotel lobbies, college campuses or inside a retailer to create a “store-within-a-store” experience. The company has developed a checkout system called the Qick Kiosk to enable tap-and-go transactions and payment. The company’s proprietary technology uses AI to recognize products and shoppers, track transactions in store and automatically charge the basket to the shopper’s credit card. DeepMagic partnered with Cisco System to open an unattended Cisco Mini Store to sell electronic products. DeepMagic’s value proposition is to make shopping easy and frictionless through tap-and-go checkout at a cashierless, secure, unattended 24/7 kiosk – and the ability to bring retail into new environments where people live, work and play. Today’s consumer values convenient experiences and craves experiential retail. This “mini-store” lets brands more easily connect with customers without having to invest in the normal high initial cost and long-term leases associated with the traditional physical retail options. The company lets retailers run stores unattended for less cost with extended hours – with an automated customer experience including check-out and security. The stores can also extend reach into new areas such as hotel lobbies, university campuses, gyms, commercial office buildings, malls, etc. The Qick Kiosk can also be embedded inside a retailer as a “store-within-a-store” for new product introductions and pop-up stores. DeepMagic charges a one-time charge followed by an ongoing software-as-a-service monthly fee. DeepMagic deployed its first commercial kiosk with Cisco in 2018 and has signed distribution deals with a major payment processor, a multinational beverage manufacturer and a large global retailer, among others, according to the company. LexSet offers a visual search tool built and optimized for furniture sellers. Shoppers can upload an image – a single image or roomful of images – and LexSet will identify and show complementary furniture options. Integrated into furniture retail websites and apps, LexSet’s Automated Tagging and Visual Search tools seek to make discovery easier and more intuitive, while improving conversion. LexSet is a graduate of New York City accelerator XRC Labs and was incubated as a spin-out of Seattle-based Intellectual Ventures. What Problem Does LexSet Solve? Furniture has the lowest e-commerce conversion rate at 1.5%, but also has the highest average order value (AOV). Furniture sellers often face difficulty accurately attributing and tagging products. LexSet’s Visual Search helps shoppers find the products, while LexSet Auto-Tagging adds accurate metadata to the products in their databases to improve SEO and site searchability. LexSet charges a one-time non-recurring engineering fee of $5,000-$30,000, depending on the size and complexity of the data set. Once integrated into the client’s software interface, LexSet charges in tiered API call bundles, with a typical shopper generating $0.10-$0.60 in a given month, depending on usage. LexSet is working on pilots with several top furniture companies, including a major US contract furniture seller and a large Swedish furniture company. Mystore-E’s platform combines inventory, sales and other store data with unique business logic and machine learning to recommend product merchandising and display suggestions to position items shoppers most want in areas of the store where they are most likely to see them. The company also launched an AI-based assistant called Tore-E that it says helps improve sales associate productivity. Tore-E assists the stores via a simple task-based and supervised application, giving retailers a tool to communicate with the store in real-time to make sure the store set-up matches customer needs, and offers the ability to connect with sales associates in real-time. What Problem Does Mystore-E Solve? Most store associates and managers do not have access to real-time communication and information systems, nor are they able to evaluate patterns and trends in productivity at the store level. 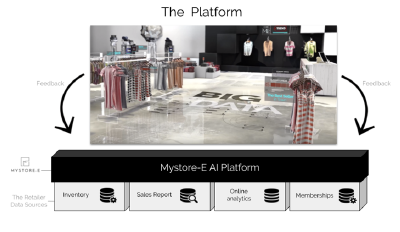 Mystore-E’s AI-based platform gives store managers and associates information they can use to optimize store displays, while providing a communication tool for store associates to better understand customer wants and needs from company data. Tore-E supplies a real-time communication tool that delivers accurate insights, predictions and sales-supporting data on in-store product performance to improve store set-up and sales associate productivity. Series A (recently secured $2.2 million in seed funding led by Signet Jewelers). Monthly subscription based on fee per store and per user. Asaf Shapira, Co-founder and CEO. Idan Sergi, Co-Founder and Head of Strategy and Business Development. The company is working with 10 retailers and operates in more than 100 stores in Israel and the US. Cymbio simplifies processes between brands and retail partners by providing a single platform to manage wholesale and direct-to-consumer (D2C) operations, enabling brands, retailers and vendors to seamlessly work together, eliminating painful, time-consuming and expensive integrations and process changes. It automates the process of moving product information from brands to fully styled retail product pages, and facilitates other data sharing, including inventory management, order routing and billing. The solution also facilitates automated drop-shipping, reorders, in-store drop ship and buy-online, pickup in-store (BOPIS). What Problem Does Cymbio Solve? Brands and retailers work with different back-end systems and data structures, which makes it difficult to share data and communicate efficiently in real time, often resulting in lost sales and reluctance to pursue new opportunities. By streamlining information between trading partners, Cymbio enables brands and retailers to react more quickly, save time through efficiently sharing information and better leverage existing inventory. Cymbio is a SaaS platform that can be accessed from web and mobile devices. Cymbio operates on a performance-based model, with customizations available. Cymbio aims to be the integration-free platform that, with a few clicks, enables businesses to start working together in a fully automated way. Spruce Labs offers a product called Sprucebot, which the company calls a “guest experience bot” that provides personalized experiences in retail stores. Sprucebot is a hardware and software-based solution that offers a suite of conversation commerce, automation and clienteling solutions. The Sprucebot plugs into the store’s Internet connection, enabling the platform to interact with shoppers over WiFi and SMS. Shoppers can receive proximity-based promotions, SMS reminders on discounts or even schedule appointments. The mobile-first platform also can manage and create unique shopper profiles, so that store employees receive insights into who shoppers are as they enter the store and what they might want. As retail sales continue to shift online, there is increasing pressure for brick-and-mortar retailers to leverage their physical presence to better compete against e-commerce. This makes the role of the store employee even more important: Today’s informed shoppers expect excellent customer service, but store employees have little information on specific shoppers, so are at a disadvantage to the online experience. Spruce Labs’ flagship product, the Spruce GX Platform, charges clients based on a software-as-a-service (SaaS) model. There are a-la-cart monthly fee options, as well as yearly and multi-year licensing for bundles of features. Taylor Romero, Founder and CEO. Spruce Labs is looking for one or two more paid pilots with some strategic retail partners starting Q3 2019. 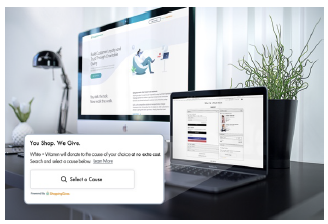 Designed to inspire positive social impact through everyday purchases, ShoppingGives enables retailers to simplify the process of adding an optional charitable donation during the online checkout process. Retailers can select one or a few charities to support, or leave it to the shopper, offering shoppers an extra incentive to complete the purchase while also creating an authentic charitable giving moment at checkout. Letting customers choose the charity also gives brands a unique opportunity to gain valuable customer data insight, streamline giving through a fully managed donation process, measure donation spend against bottom-line and personalize the charitable giving experience. What Problem Is ShoppingGives Solving? Today’s consumers, especially millennials, have an affinity for brands that make a positive social impact. ShoppingGives helps retailers engage the customer in the corporate social responsibility (CSR) strategy, which drives brand loyalty and customer engagement. ShoppingGives’ retailer program, Change Commerce®, is a SaaS cart technology sold on a subscription basis. Ronny Sage, Founder and CEO. Fillogic is a logistics-as-a-service platform for retail that is creating a network of tech-enabled, micro fulfillment hubs located in unused space at retail centers. Fillogic’s logistics capabilities let retailers optimize operations from existing stores. The platform offers benefits to transportation providers and commercial property managers as well. Its logistics capabilities enable retailers to store inventory closer to customers, optimize ship-from-store and better manage inventory, among other benefits. Many retail stores are being asked to perform warehouse-like functions but are not equipped to execute all the necessary logistics functions. Fillogic lets retailers use empty space in existing stores to expand capabilities. It also lets commercial REITs optimize space use by providing back-end logistics infrastructure to help retail clients best service walk-in and online consumers. Bill Thayer, Co-Founder and CEO. Rob Caucci, Co-Founder and President. Fillogic launched its first hub in late 2018 and is looking to partner with national mall owners. The company has also completed site selection for the next two hubs and hopes to have 10 more within the next 18 months. VisuWall is an online business-to-business marketplace that simplifies the media buying process and seeks to monetize vacant commercial real estate. 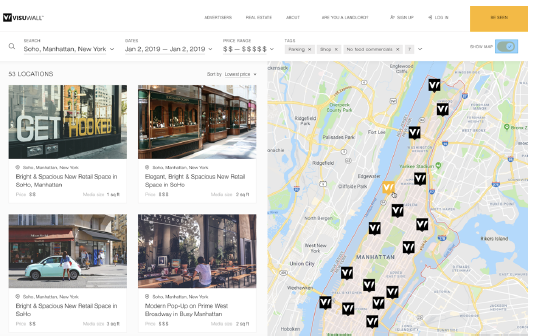 Brands can use the marketplace to find vacant storefronts for in-window advertising. The company describes itself as a physical-to-mobile ad platform, which means advertisers can place a static image in-window and through geofencing and/or branded app integration, send a digital ad to mobile devices within the zone of the windows. The company integrates computer vision technology, allowing advertisers and brands to measure foot traffic and other metrics. Traditional advertising is out of sync with the metrics that digital media can provide with ease. Vacant storefronts are common across the US and vacancies last an average 18-24 months, costing the industry $9.2 billion in lost revenue annually. VisuWall provides a tool for landlords to generate some revenue from space that otherwise goes unused. VisuWall aggregates the supply on its custom marketplace and makes it accessible with a media rate shared with landlords. VisuWall also offers data analytics and reporting services. Kobi Wu, Founder & CEO. VisuWall is developing the marketplace and dashboard for planned launch in April 2019. RetailDeep is a facial recognition platform for brick-and-mortar retailers. The Canada-based startup has built a compact, easily installed sensor that lets retailers use facial recognition to identify shoppers as they enter a store. The solution enables several potential applications, including: recognizing VIP customers, card-free loyalty programs and a new source of store performance metrics. When a customer walks into the store, the retailer is notified via mobile, desktop or wearable and the system tells the retailer who the customer is, what the customer has purchased and suggests what the customer could buy today. RetailDeep participated in XRC Labs Cohort 6 Demo Day 2018. Dr. Hai Hu, CEO and Chief Scientist. Dr. Changhai Jiang, CTO and Lead Engineer. Landingo offers a cloud-based solution to enable seamless international shipping for business-to-consumer e-commerce. The company focuses on larger items, such as furniture, bicycles and other bulky products. Container sharing optimization allows Ladingo to offer lower shipping rates for larger items. Ladingo’s system calculates consumer-facing prices and delivery estimates, and on the back-end handles freight forwarders, custom regulations, tracking and other steps in international fulfillment. The company believes its solution “is opening the door to the international B2C e-commerce of large courier items” by automating the fulfillment of international parcel services, for maximum efficiency and minimum complexity. What Problem Does Ladingo Solve? Companies often face complexity and high cost when shipping products internationally — especially for large and bulky items. Paid service – included in shipping price. Hagar Valiano Rips, Founder & CEO. Ruth Reiner, Founder & CMO. Guy Levi, Founder & CTO. Ladingo is actively working on beta pilots with customers looking to ship globally. Increasingly helps retailers automate and personalize online product bundles. Powered by machine learning, the platform analyzes the retailers’ assortments and sales, pricing and other data to create automated product bundles. These bundles can be based on the unique user, dynamic discounting efforts, geo-filtering and more. The solution integrates into e-commerce product and checkout pages, as well as in email. According to the company, customers have seen average order values increase up to 12%. The company received the Breakthrough Innovation of 2018 award at Retail Recharged’s annual retail technology event. Notable clients include Samsung, The MET and Party City. What Problem Does Increasingly Solve? According to Gartner, over half of retailers conduct no on-site product bundling, creating a significant missed opportunity in cross-selling. According to Increasingly, Amazon drives 6-7% incremental revenue from AI bundling, worth $14 billion each year. Increasingly charges a monthly license fee or a paid-on performance fee for companies that want to test the solution. This year, the company will expand platform capabilities to include in-marketing revenue generating tools. Shipsi wants to level the instant shipping playing field by enabling online retailers to offer fast and accurate shipping without having to manage the logistics. 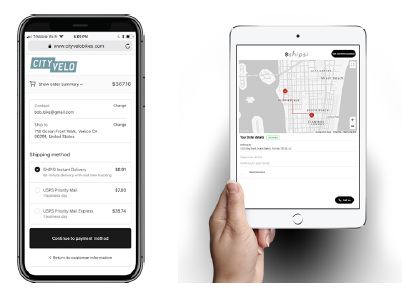 The company integrates with clients’ e-commerce checkout page and last-mile delivery networks, including Postmates, Uber and others, so companies can offer same-day delivery. The solution automatically evaluates existing last-mile networks to determine if same-day delivery is possible, and if so, selects the optimal combination of cost and delivery time to present to the shopper. Customers can track deliveries in real-time and receive notifications when a delivery is confirmed, picked up and delivered. What Problem Does Shipsi Solve? According to Shipsi, 88% of customers are willing to pay more for same-day delivery, yet only 15% of retailers now offer same-day delivery, and over 25% of shopping cart abandonment is because shipping is too slow. But same-day delivery is a challenge for most companies, and white label integration with last-mile delivery partners requires substantial time and effort. Seed (recently closed a capital raise for $1.9 million). The company charges based on the number of transactions (tier-based), plus a one-time implementation fee and monthly recurring fee. Chelsie Lee, Co-Founder and CEO. The company operates in over 100 cities across the US. Current partners include Shopify, Postmates, Uber and Salesforce. Clients include Create the Edit, Mini Dreamers and No Rest for Bridget. Tangiblee provides a product visualization solution for e-commerce websites. The company uses existing product content (product images and descriptions) to generate interactive and personalized product viewing experiences. For example, Tangiblee renders a backpack or piece of jewelry on a virtual model, or piece of furniture in a virtual room. The solution integrates into existing product pages, with the goal of increasing conversions by reducing consumer uncertainty at the decision-making point of the shopping journey, and of decreasing returns. At the individual SKU level, Tangiblee seeks to address consumers’ size and fit-related concerns. What Problem Does Tangiblee Solve? Return rates are one of e-commerce’s most costly friction points. Retail return rates (fashion, apparel, shoes) are steadily rising, especially for online purchases. Customers returned $351 billion in purchases in 2017 – brick-and-mortar and online – about 10% of total purchases, according to the National Retail Federation. Online return rates are far higher: 30% or more. By incorporating a solution that addresses size- and fit-related uncertainties, retailers may be able to reduce online returns. Software-as-a-service (SaaS), based on number of SKUs and website traffic served. Eliad Inbar, Co-Founder and CEO. Yevgeniy Kuznetsov, Co-Founder and CTO. 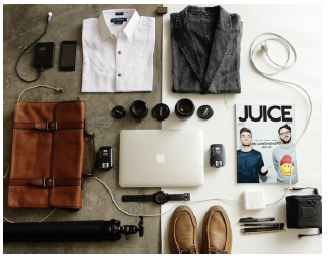 Commercial rollout with about 70 brands and retail websites. Working to grow client base and start beta test on next-gen version by Q4 2019.